An 11-year-old boy was locked in a mental hospital for a week after his mother took him there voluntarily seeking help. He's not alone. The accounts of people shared here should not dissuade individuals from getting mental health help. But, too often, experts say that for-profit, private facilities do not choose the "least restrictive appropriate setting" for therapy, as mandated by current law, and instead default to locking up people in more expensive inpatient care when it's not necessary. We've created a RESOURCES page to help you do that. But first, our story. Now imagine you are 11 years old. Latoya and her son Mason. That’s how old Latoya Wilmore’s son, Mason, was when he ended up held at Millwood, a private psychiatric hospital in Arlington. He spent a week locked up there. The facility billed his mother's insurance more than $11,000 for the stay, records show. Millwood has denied any wrongdoing. It’s a collection of stories about people who voluntarily went to psych hospitals seeking help. Yet, when they asked to go home, they claim the staff ignored state law by threatening or dissuading them from filing such requests. The patients say, in some instances, their requests were blatantly ignored. 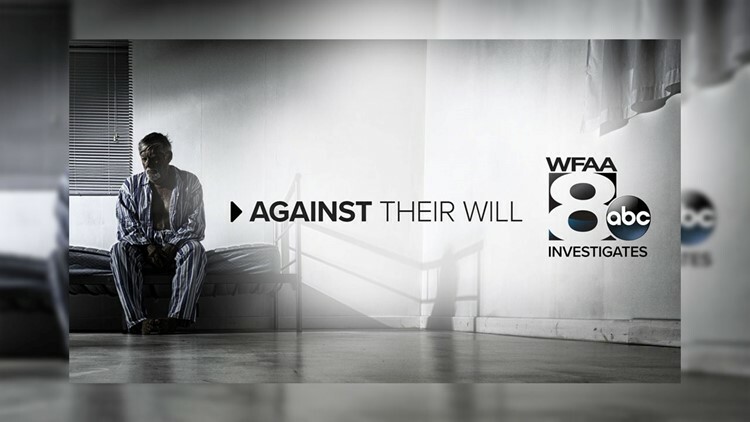 WFAA has been highlighting the plight of voluntary patients questionably detained for years. In 2013, we brought you the story of three women who said they were held against their will after seeking voluntary help at Mayhill Hospital and University Behavioral Health in Denton. In November, we told the story of the Hough family, who physically broke out of one of the same Denton facilities, Mayhill. They’re both owned by Universal Health Services Inc., the same Pennsylvania-based company that owns Millwood, where Latoya’s young son, Mason, was held. Here's Millwood's statement to News 8 about their handling of Mason. Due to patient privacy laws, we cannot comment on any specific patient's care. However, the facts as related in the WFAA inquiry are inaccurate and incomplete, and we deny the allegations that have been made. State regulators have reviewed this case and found the facility in compliance with the rules regarding requests for discharge or discharge planning. There were no findings against the hospital or its contracted physicians. Millwood Hospital is committed to patient safety and to providing high quality care to each patient we serve. UHS is the nation’s largest for-profit psychiatric hospital chain. The multibillion-dollar company admits hundreds of thousands of psych patients each year into its 185 psych hospitals around the U.S.
Several of UHS’s facilities have recently been under federal investigation (see page 58, "Legal proceedings," of their most recent annual report). After November’s story about the Hough family, we were inundated with people who needed to share their stories – some from other hospital groups besides UHS. Watch an extended version of our panel discussion here. In addition to that group interview, our Voices page also has a selection of individual participants' stories broken out for you. This section includes new accounts by the Hough family, featured in our November story, about them having to break their daughter out of a facility. We've also posted the raw surveillance video of that escape. We’ve also assembled a resources page with counseling and therapy options, including tips on how to keep from becoming an involuntary patient at a mental hospital if you’re only there for voluntary help.